The Guadalupe Center of Immokalee serves the needs of the working poor in the community. The offer a soup kitchen, clothing room, showers, and family education. They also have a Back-to-School program, after school tutoring and youth camps. During the holidays, the Guadalupe Center also hosts a Christmas toy shop. Volunteers meet at Lamb of God Church at 10:00 AM on the first Thursday of each month to travel to Immokalee. Volunteers serve in the soup kitchen and also collect and donate clothing, soap, and blankets. If you’d like to help serve in the soup kitchen, please contact the church office at 239-267-3525 for more information. 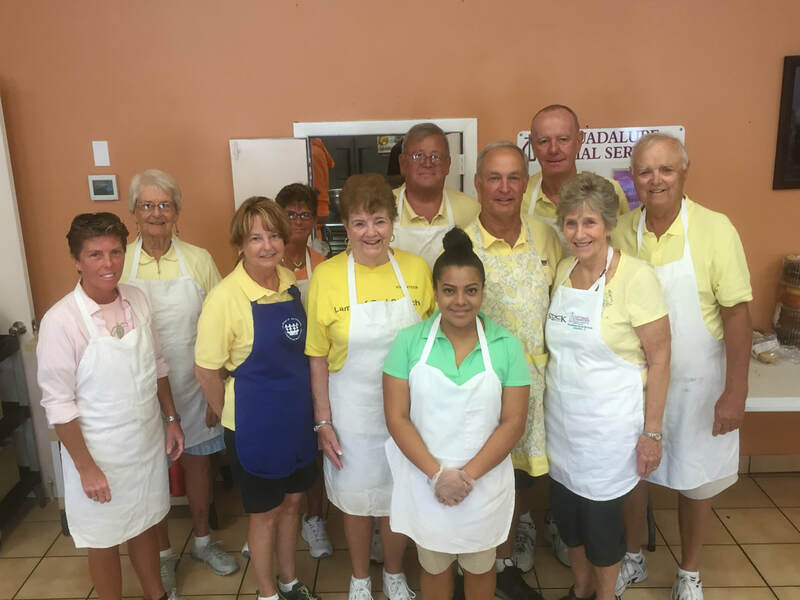 Volunteers usually meet each month at Lamb of God and travel together to Immokalee.